Following in the spirit of our epic month of Everything Blog, today we’ll be talking about blogging tools that keep me sane. But first, the winner of our epic Blog Giveaway is… drum roll please… Mel from BrokeGIRLRich! 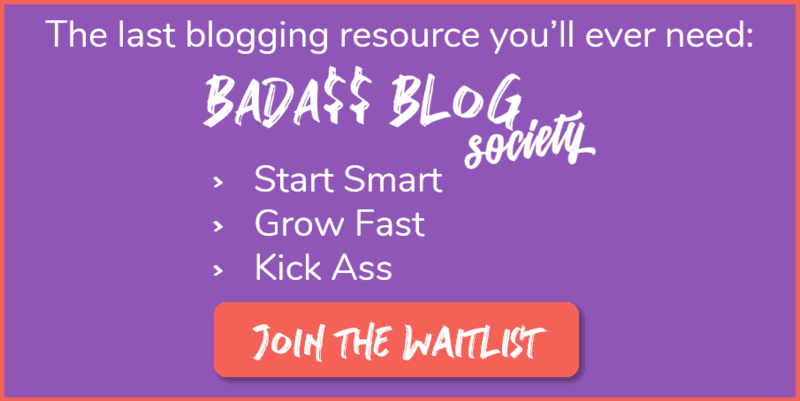 Mel wins a copy of Ruth Soukup’s How to Blog for Profit Without Selling Your Soul and Darren Rowse and Chris Garrett’s ProBlogger: Secrets for Blogging Your Way to a Six-Figure Income. Yay for Mel and thank you so much to all who participated! For anyone out there who wants to one day become a blogger, either full-time, part-time, or as a hobby, there will inevitably come a time when you have too much to do and not enough time (or brainpower) to do it. One or two things will slip through the cracks, and you’ll be so mad you forgot to do X, Y, or Z! This happened to me a few times until I realized I needed some organizational tools to get myself on track. Even if you never plan on starting a blog, these organizational tools I use are pretty invaluable for a lot of life-related things too. 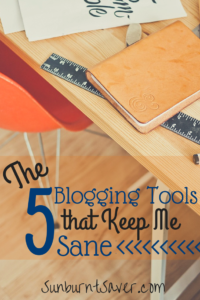 And for those of you who do blog… read on to see what blogging tools keep me sane! Google Drive is the best organizational and blogging tool I’ve ever used. I started using Drive in graduate school and have been hooked ever since. Drive can house everything you need in the cloud, including Excel (“Sheets”) spreadsheets, Word documents, even Powerpoint presentations. If you’re out and need to quickly draft a letter, spreadsheet, or presentation, simply open up Drive and choose your medium. You can export your Sheets project, for example, to Excel later if you want to work on it there. The best thing about Drive is you can edit anywhere you have Internet access, and you can invite people to collaborate on your documents. You and a client can be hours apart, but still be in the same document, working together. Efficiency at its best! I’ve used other Pinterest schedulers before, and while they have their merits, Tailwind is the best Pinterest scheduler I’ve found. You can try Board Booster, and I’ve heard some people like Buffer, but for me, Tailwind is where it’s at. Beyond scheduling your posts, Tailwind also gives you detailed information about your followers, what they’re pinning, and how you can improve your boards. You’re given insights into popular pins, pinning trends, and which pins are drawing the most traffic. It’s like using Pinterest Analytics, but even more useful! Some people really love Buffer for scheduling out their tweets, but I swear by Hootsuite. Not only does Hootsuite make it easy for you to schedule out tweets in the future, but you can also follow “streams”. Streams include any tweets that mention you from others (so you can respond to them later), retweets from people, and any hashtags you’re following. Want to keep up on a particular Twitter party? Add the hashtag to Hootsuite, and you’ll see every tweet related to that party that has been tagged. You can remove hashtags when you want, or keep them up on your Hootsuite dashboard to track straggler tweets. Full confession: I use both Asana electronically and the Day Designer, a hard copy planner, equally. There’s something about paper planners I just can’t quit! It’s the former librarian in me 🙂 That said, Asana is one of my favorite electronic editorial calendars. I love Asana because you can sync it with clients you’re working with as well as have your own personal calendar. You can toggle between them seamlessly, without having to log in and out of individual calendars, which I love. It’s so easy for me to work with several clients and keep up on my writing assignments. CoSchedule is a close second, but CoSchedule is a little pushy with trying to get you to upgrade, which is why I like Asana more. Have you ever been scrolling through Twitter on your phone, or reading an awesome article online, and want to save it for later? Sure, you could add it to your bookmarks and hope you remember to pull it up later… or you could save it to my favorite reading service, Pocket! Pocket is so helpful when I’m on the go reading things online, particularly on Twitter. So many writers publish amazing content daily, and I just don’t have time to stare at my phone while at work. So I save the top 5 (or so) articles I want to read later to Pocket, and then I can read them at my leisure at home. Pocket makes it easy for you to tag articles too, so if there’s an article about affiliate marketing I want to reference later, I can just tag it “marketing” or “reference later” and pull up those tagged articles whenever I need to. 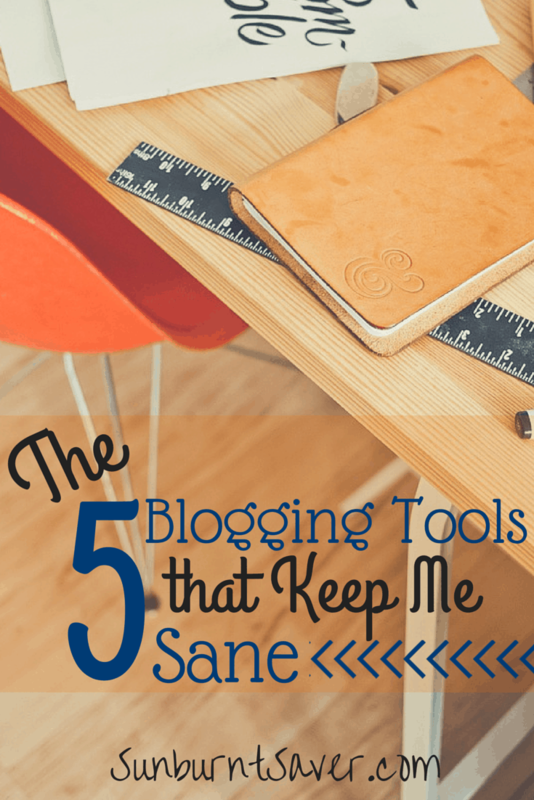 What blogging tools help keep you sane? Do you use any of the ones I referenced, and what tools do you recommend we should use? Note: some of the links above are affiliate links. If you choose to purchase any of the above products, I will make a small commission from your purchase. All affiliate income is reinvested into this blog. Thank you! I didn’t realise there were services for scheduling Pins! Should’ve looked into that! +1 for google drive to organize your files and collaborate with others. I also rely heavily on Trello for organizing various projects: post ideas, marketing checklists, etc. Easy to use, and decent app support for task management on the go.